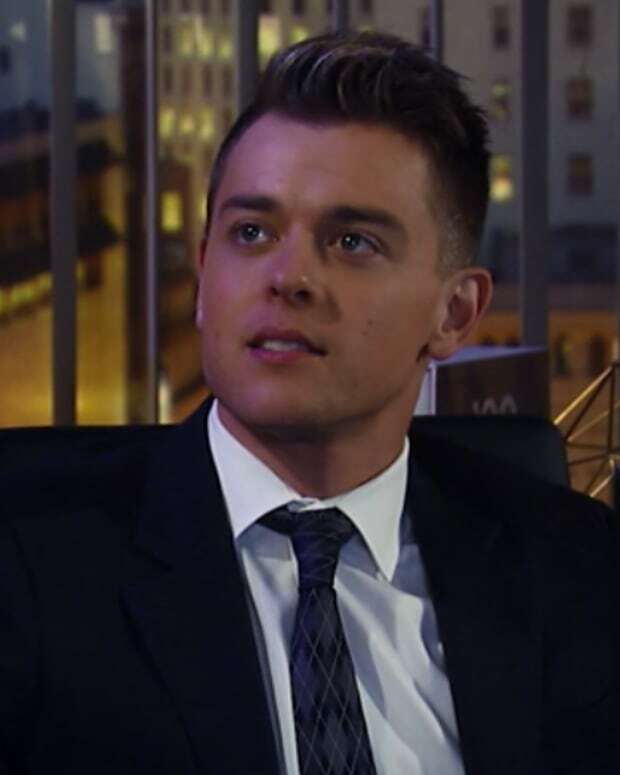 Perkie's Observations: Is Michael Reclaiming Sonny as His Father on General Hospital? Patrick explains that the bullet is lodge along Sonny&apos;s spine. Morgan questions whether Sonny will be paralyzed and has a meltdown. Jake manages to calm him down. Jordan tells TJ that she was afraid. She wants TJ to move out of Sonny&apos;s house. TJ says he owes Sonny and won&apos;t turn his back on him, especially now. Jordan mentions Molly and Shawn. However, TJ is certain Shawn would be proud of him for being loyal to Sonny. TJ says he&apos;ll be forever in Sonny&apos;s debt. 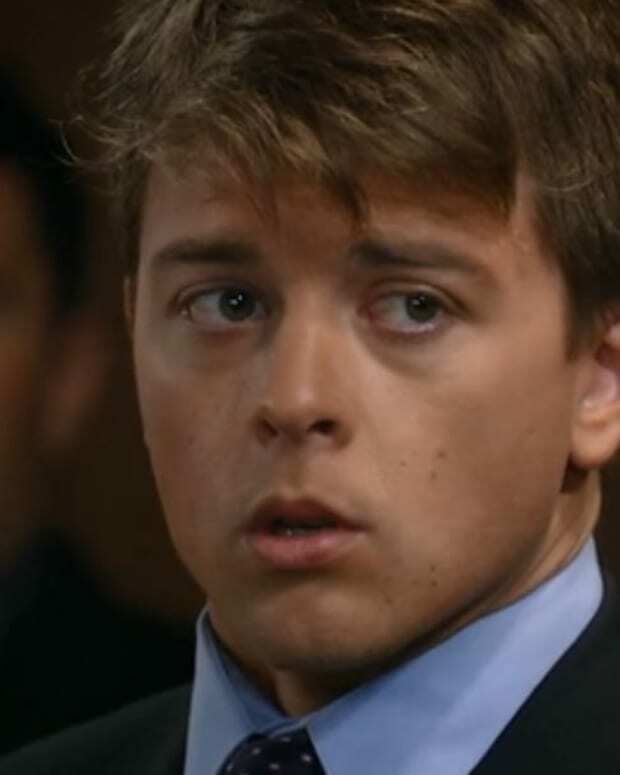 Dante runs into Julian and blames him for Sonny&apos;s shooting. Julian denies responsibility and says he severed ties with Charlie a long time ago. Dante asks if Julian was anywhere near the pier. Julian refuses to answer. Lulu calls Olivia and lets her know what&apos;s happened. Olivia heads over and Lulu mentions that the shooter used to work for Julian. Olivia says she ran into Julian on the pier. Lulu forgets that the phone was invented and heads down to the station to tell Dante in person. Tracy finds Paul waffling over signing his divorce papers. Paul explains that he feels like a failure. Sabrina arrives and updates them on Sonny. Tracy&apos;s not surprised, since Sonny deals with violence. Carly wants Jake to go over what happened. He explains it all. Michael offers to get him a lawyer if it&apos;s needed. Jake and Sam head back to the station to give their statements. On the pier Jake tells Sam that he&apos;s not upset that he killed the three men. Sam tells him that Jason would be grateful. She then mentions that this is the pier that Jason died on. Sam claims she loves her life, but admits she wonders how life would have been if Jason were alive. Morgan starts to question Sonny&apos;s treatment, despite Carly&apos;s repeated attempts to calm him down. Ric arrives, which sets off Morgan again. He accuses Ric of releasing Charlie. Ric points out that it was the mayor&apos;s doing, but Carly&apos;s quick to join Morgan in blaming Ric for taking Sonny down. Carly wants to have Ric thrown out, but he says he&apos;s Sonny&apos;s next of kin. Michael speaks up and says he&apos;s Sonny&apos;s son. Ric reminds him that he turned his back on Sonny and that he&apos;s not blood related. Michael orders Sonny&apos;s guard to send Ric away. Carly is thrilled that Michael is back to thinking of Sonny as his father.